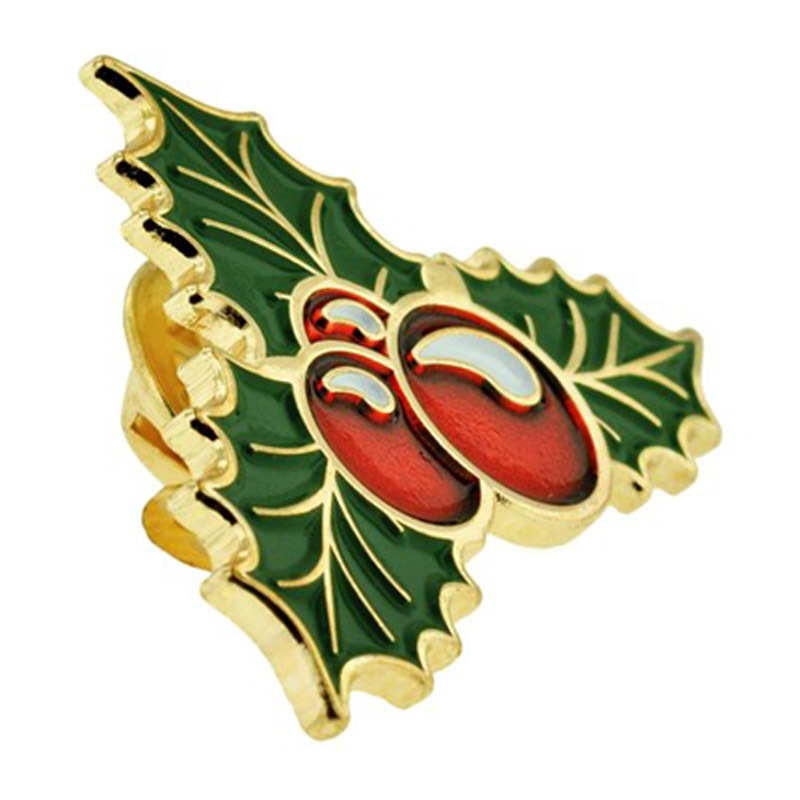 With glossy green leaves and bright red berries, our Holly Berry Pin is a favorable symbol to wear to celebrate the "holly" days! Are you a collector of Christmas Order Enamel Pins? This is the ideal pin for your collection. 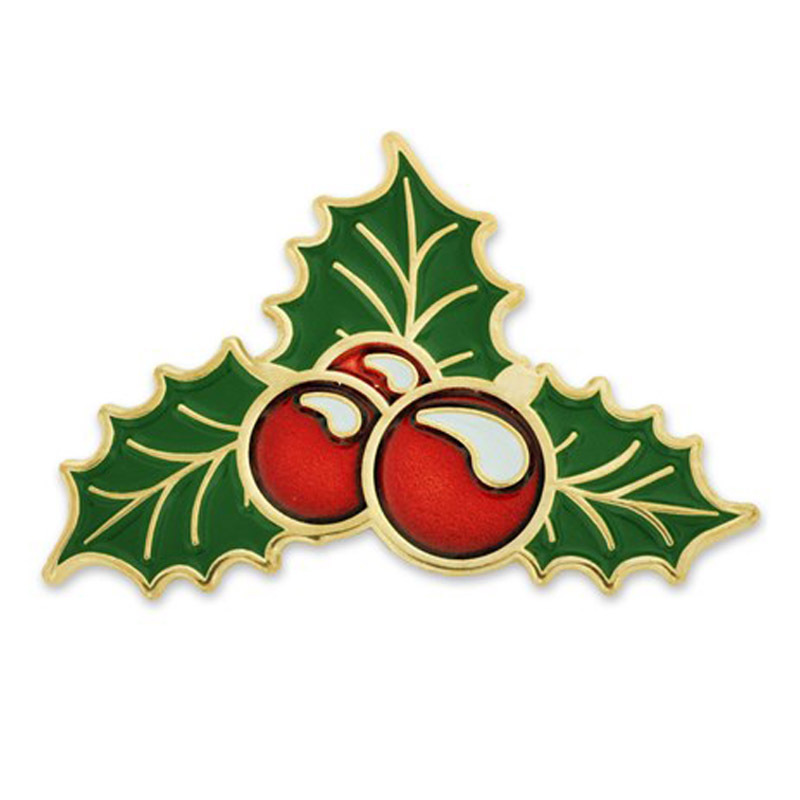 Created from jeweler's metal, this pin is gold plated with the transparent red enamel colored berries as its featured element. 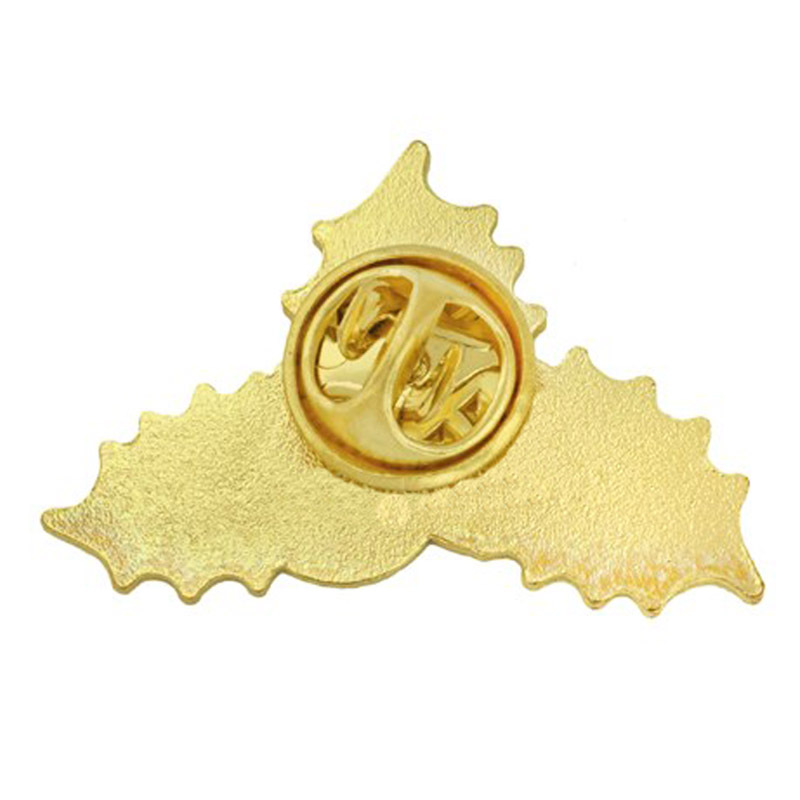 Its standard clutch back secures this pin in place on your lanyard, sweater, hat or ID badge. Each is individually poly bagged. Pass out to your entire organization at your annual x-mas celebration or recognize a team of enthusiastic holiday employees! 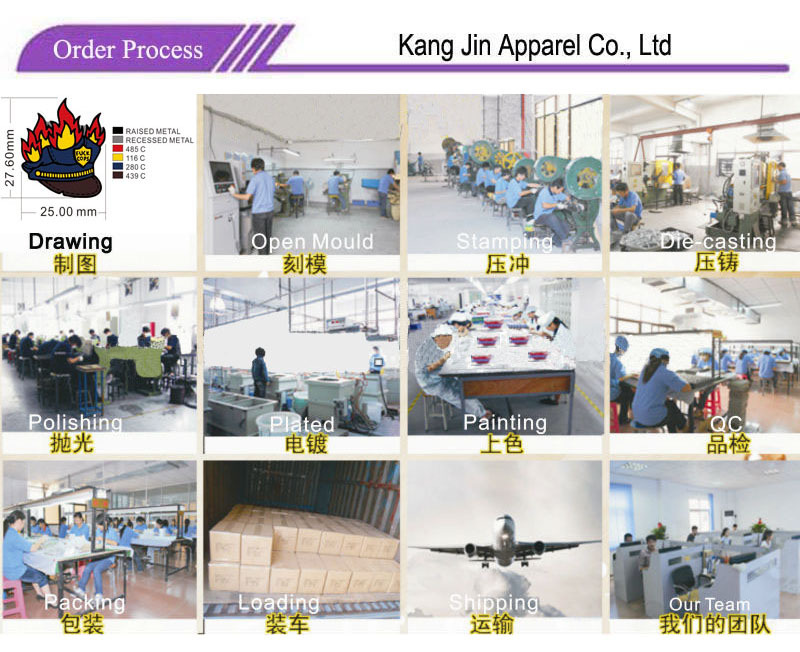 Q:I am a novice foreign trade, how to finish an order for Safety Pin? 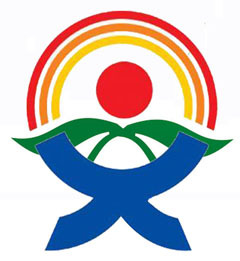 Q: How about your payment for Customized Lapel Pin? Q: What is your quality standard for the Custom Metal Lapel Pins?